A mitered corner is when two sides come together at a 45 degree angle. 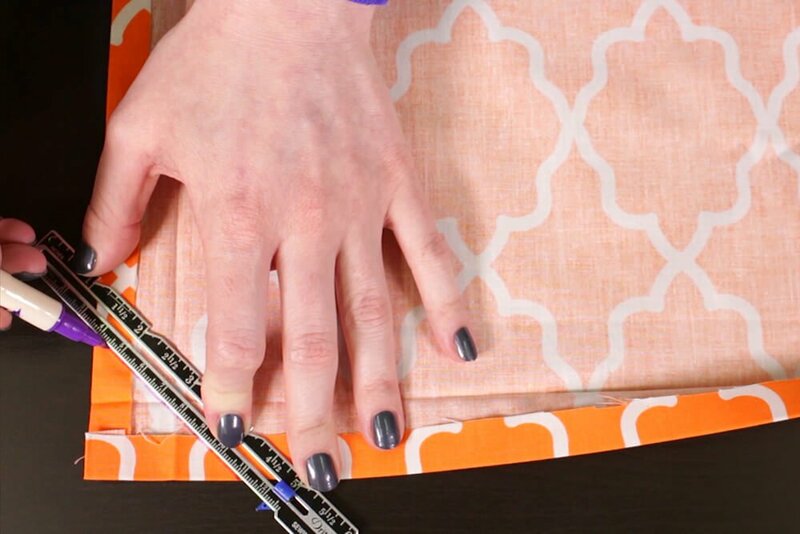 You can use this technique to create a polished look on many sewing projects, like napkins, tablecloths, blankets, quilts and curtains. You can make mitered corners just about any size. This example will have a 1” mitered corner. 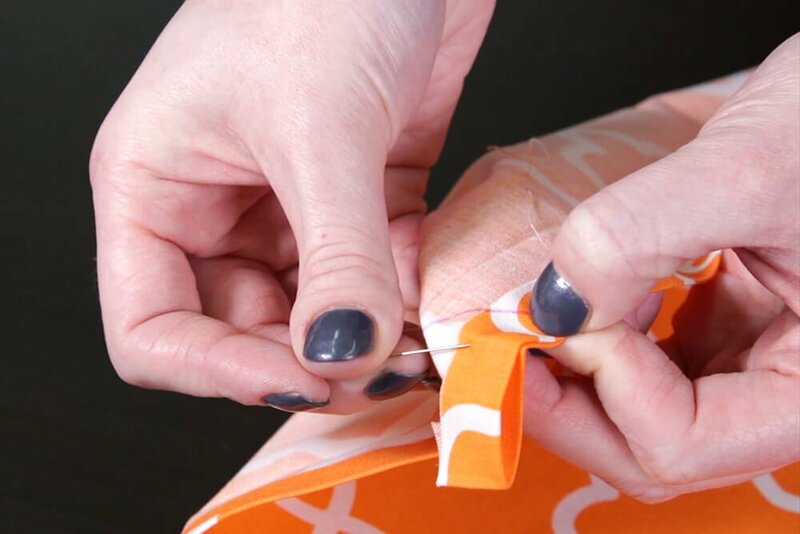 Fold the fabric over ¼” to ½” and press it. 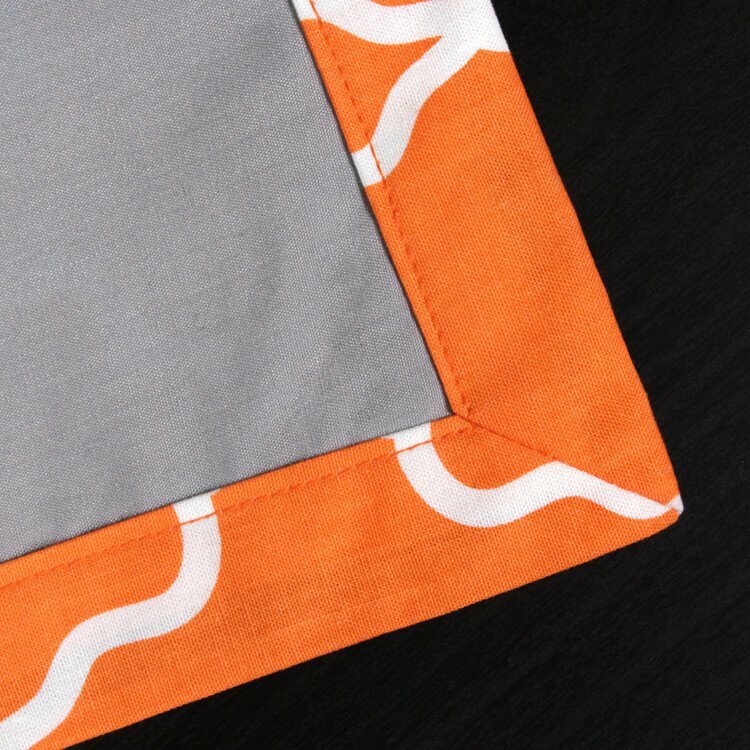 Then fold it over again however wide you want the border to be and iron it. Repeat these steps on the other corners. 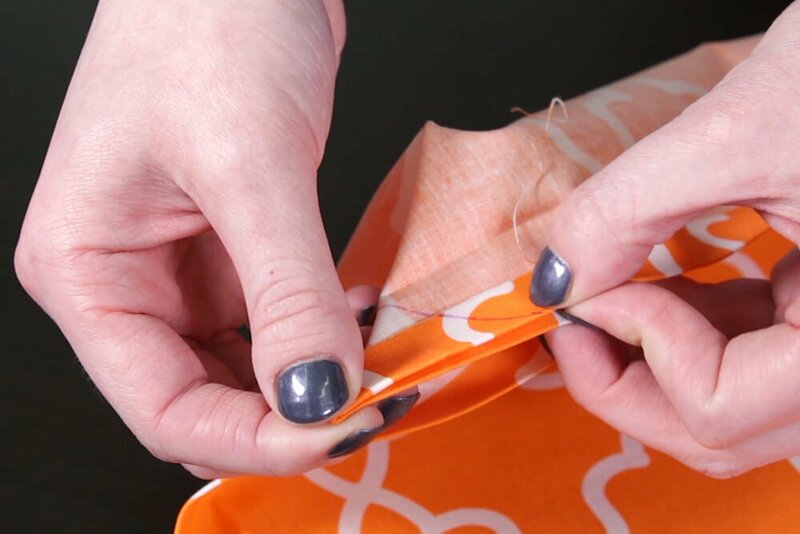 Open the fabric so just the first crease is folded over. 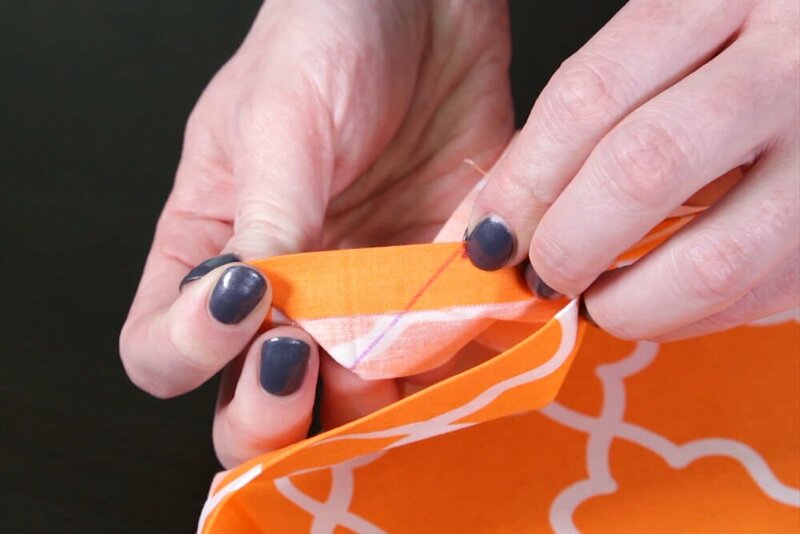 Open the fabric so just the first crease is folded over. 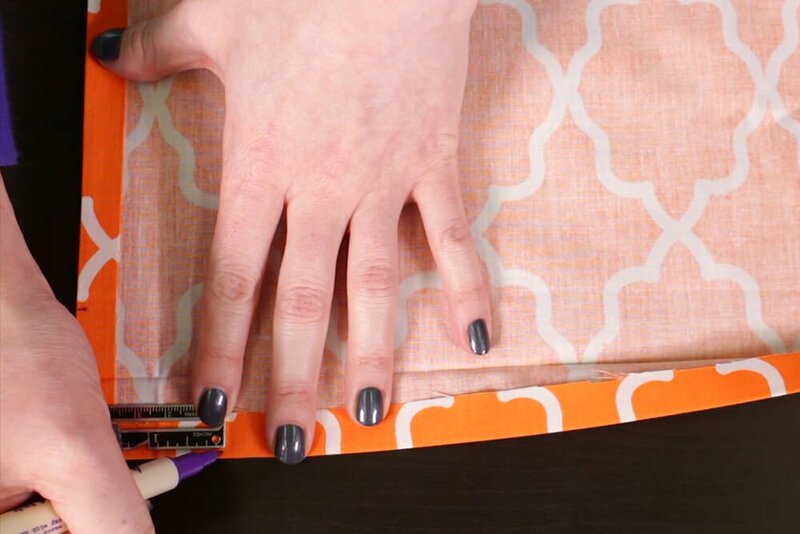 Measure 2 times the width of your border from the corner down each side. Draw a line connecting the two marks. Next fold the corner in half diagonally with the wrong side facing out. Make sure the two marks line up and pin it together. 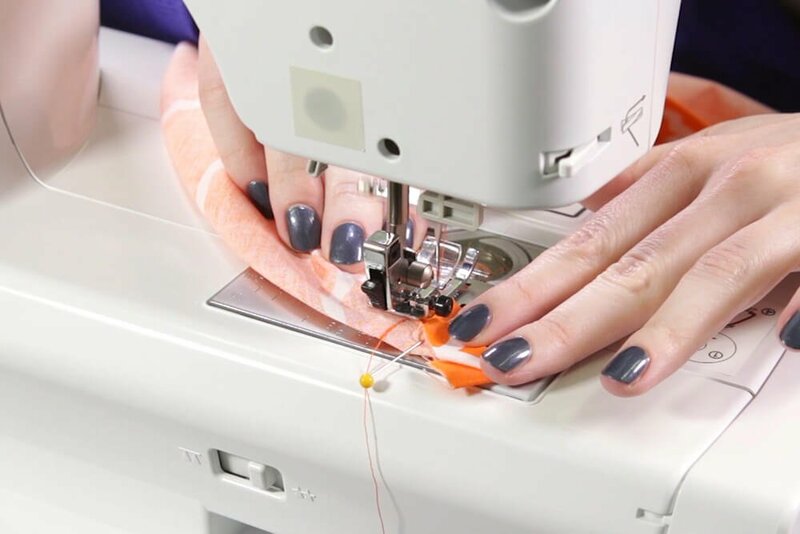 Sew down the marked line. Back stitch at the beginning and end and sew all the way to the edges. 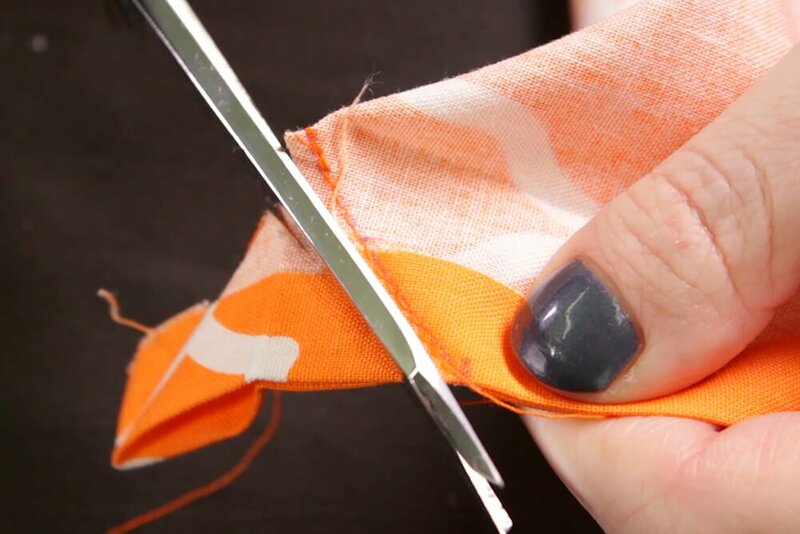 Cut off the excess fabric about ¼” from the seam. Turn it right side out. Then push out the point of the corner. 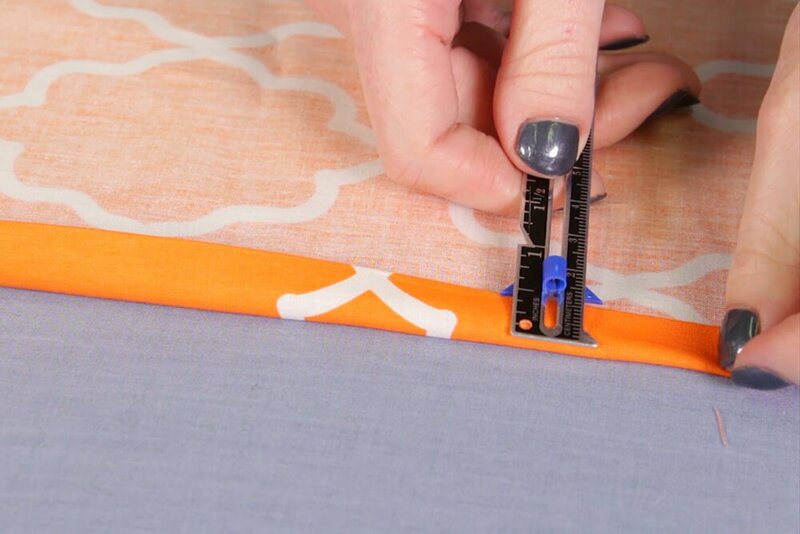 If you want to add a backing, slide it under the mitered corner. Finally top stitch around the inner edge. And that’s it—an easy mitered corner that you can use on many projects. 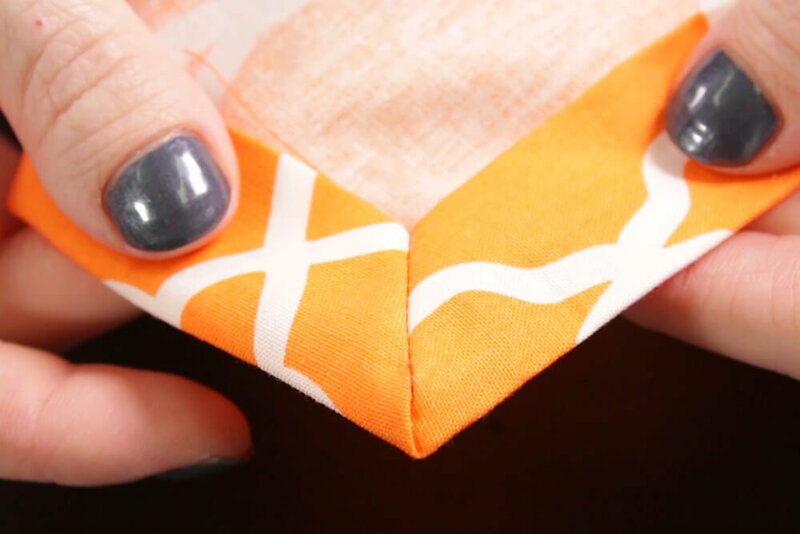 Click here to see the full tutorial on how to make cloth napkins. My piece is coming out skewed after stitching two mitered corners. What might I be doing wrong? I did straighten the grain and used rulers and a roller cutter. BEST ANSWER: Hmm, it sounds like you're being precise, so it's hard to say! I am adding a trim to the outside.? 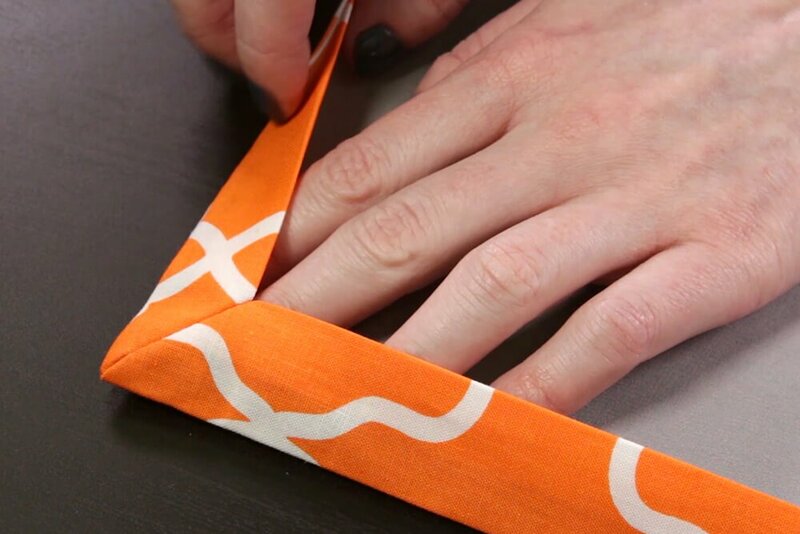 BEST ANSWER: This technique doesn't add trim. 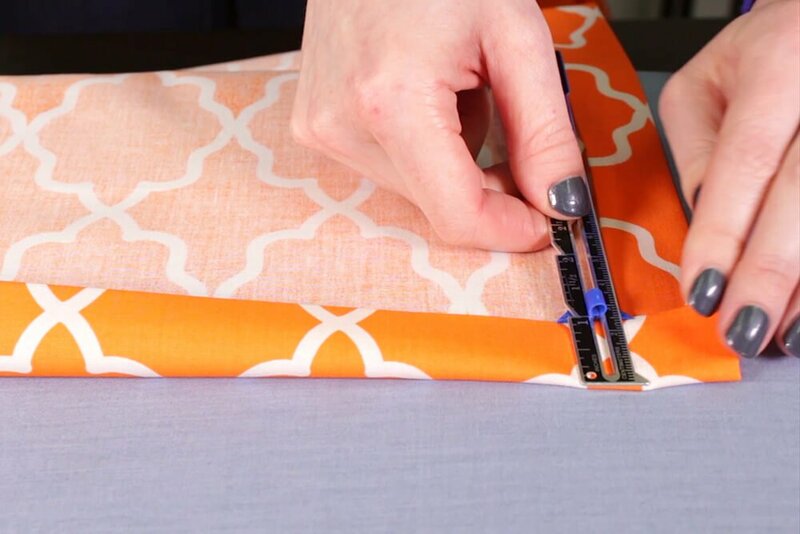 It can create a border with the back fabric wrapping around the front. 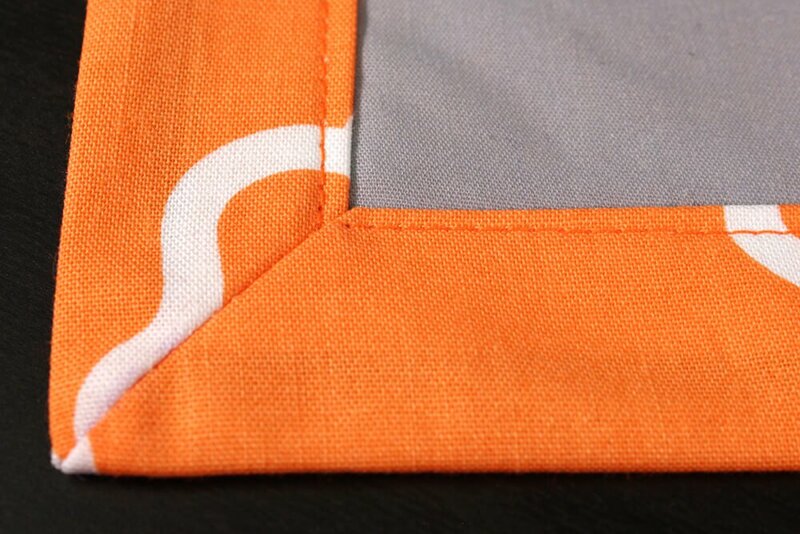 In this case, the orange would be the back fabric. 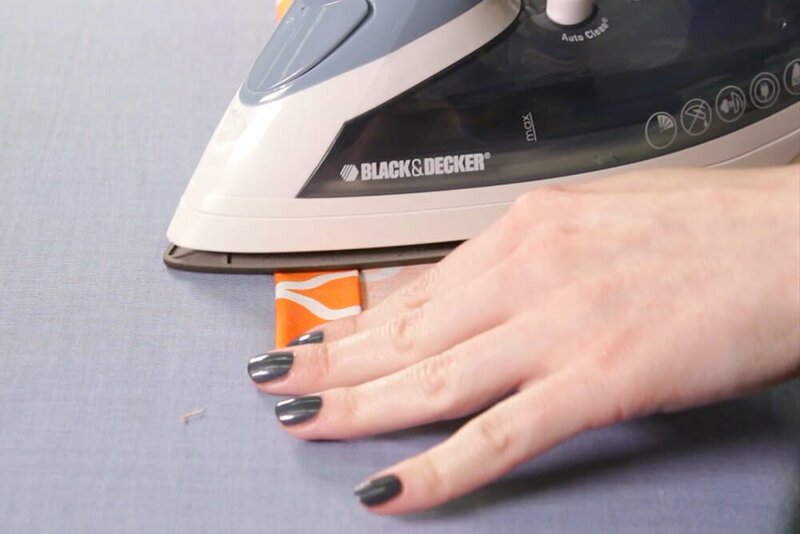 Or you could use this technique as a way of hemming that creates mitered corners. 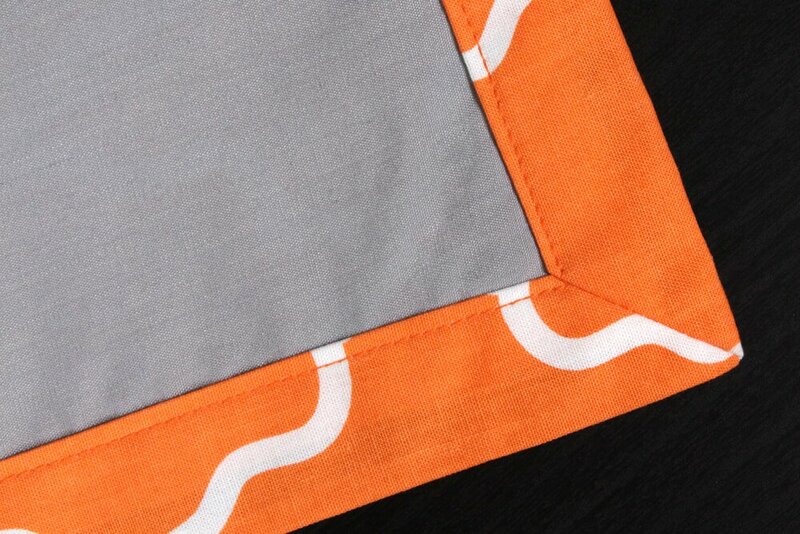 In this case, the orange fabric is the front and you don't necessarily need to add a backing fabric (the gray fabric).